Empowering through the power of yoga. Yoga entered my life a little over a year ago. Prior to opening my mind and heart to the possibility of creating inner balance and peace within myself, I thought yoga was only about stretching, chanting and wearing stretchy pants. Those stereo-typical views have completely evolved into views that understand that yoga is a way of life that encourages community, health and pure joy. Yoga is a mental escape, a tap into your inner pharmacy and a chance to use your athletic ability in ways you never imagined. 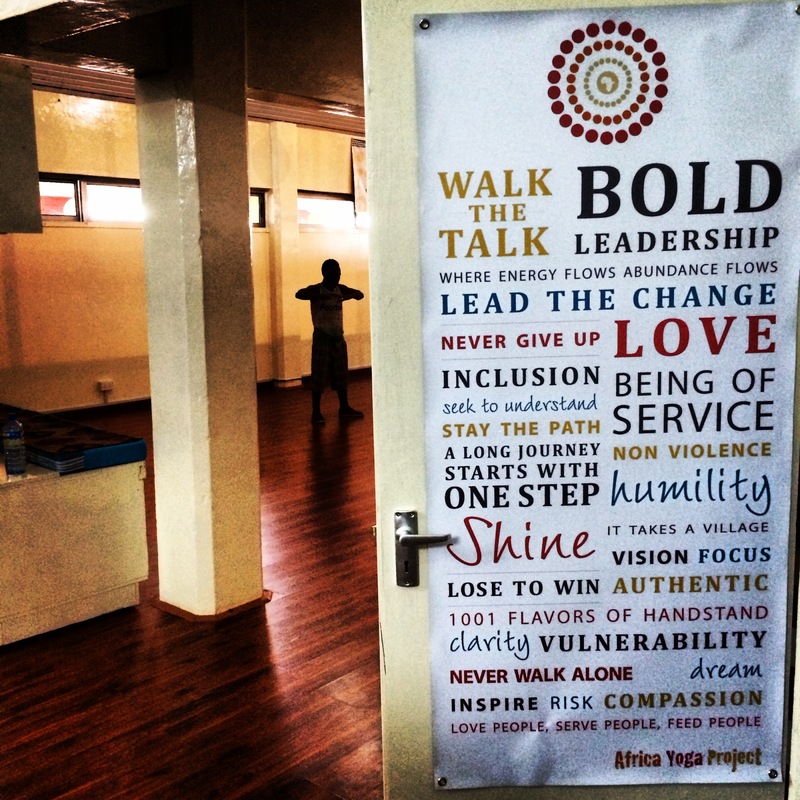 The day I found out my paths would be crossing with the Africa Yoga Project in Nairobi, Kenya my yoga world changed forever. Paige Elenson, co-founder of AYP, moved to Africa in 2007 to put her passion project into action. 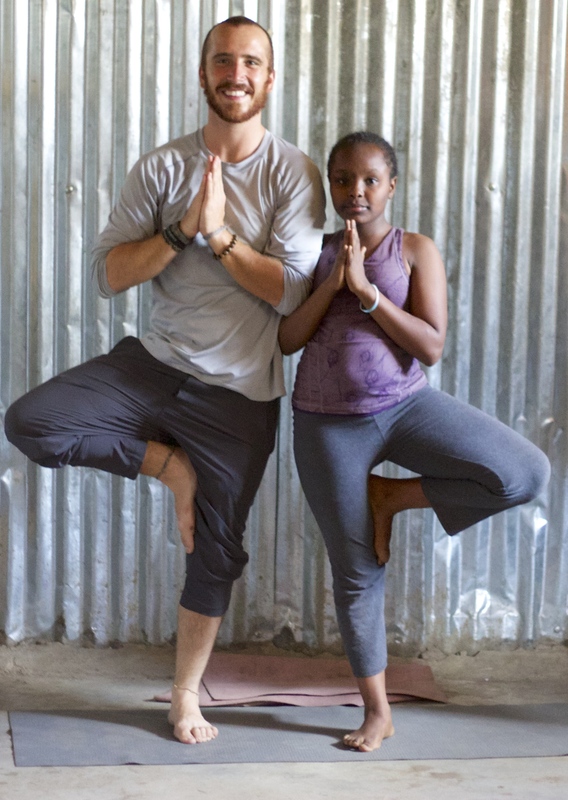 She saw an opportunity to pair her love for Kenya with her passion for yoga, and create a movement that has now affected thousands of lives across the globe. 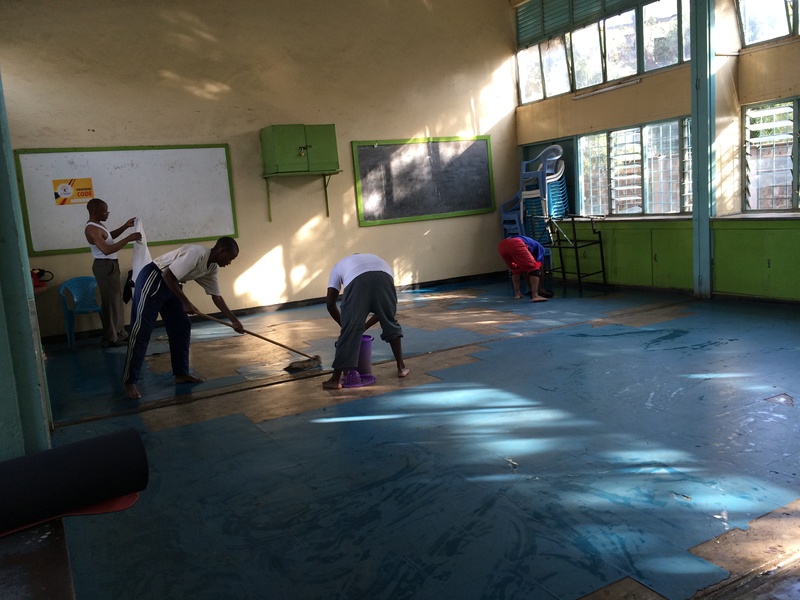 She started AYP with the goal of empowering the youth and women of Kenya to learn, contribute, and change their lives through the transformative power of yoga. Paige took a risk, took advantage of an opportunity and turned an ordinary dream into an extraordinary reality. 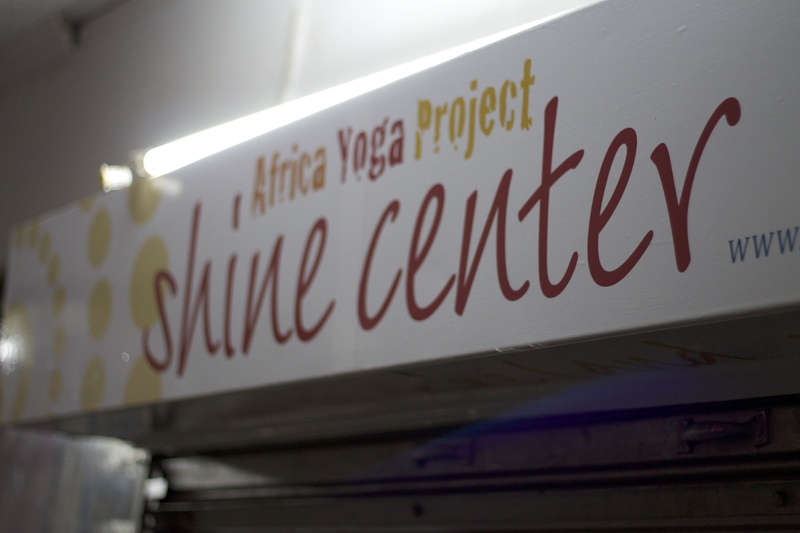 AYP is housed in the Shine Center, which is a buzzing hub for yoga, dance, creative exploring, community and pure excitement for life. There is never a dull moment in the Shine Center, especially on Saturday mornings when 300+ yogis come together for a free community class followed by lunch and inspiring conversation. During my week-long visit, I could not stop thinking, why is this model of empowerment not being replicated in every athletic realm or community? 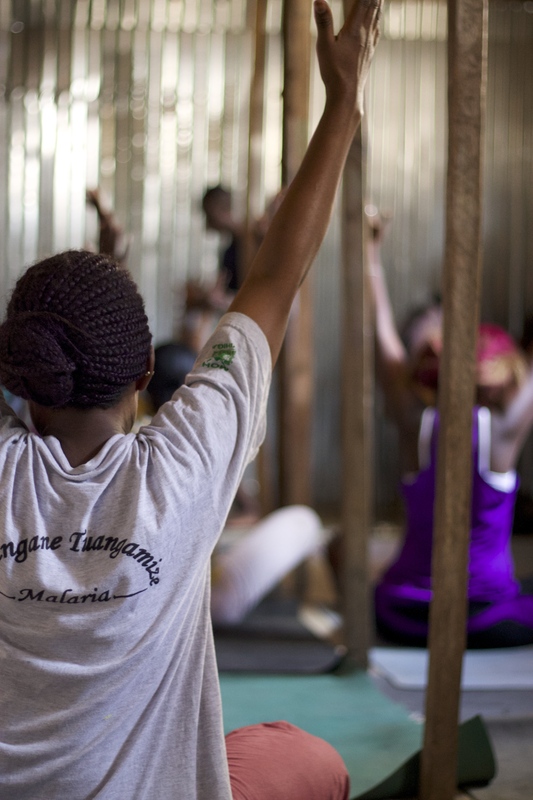 The Africa Yoga Project empowers impoverished people from the slums of Nairobi by extensively training them to be Baptiste Yoga teachers. 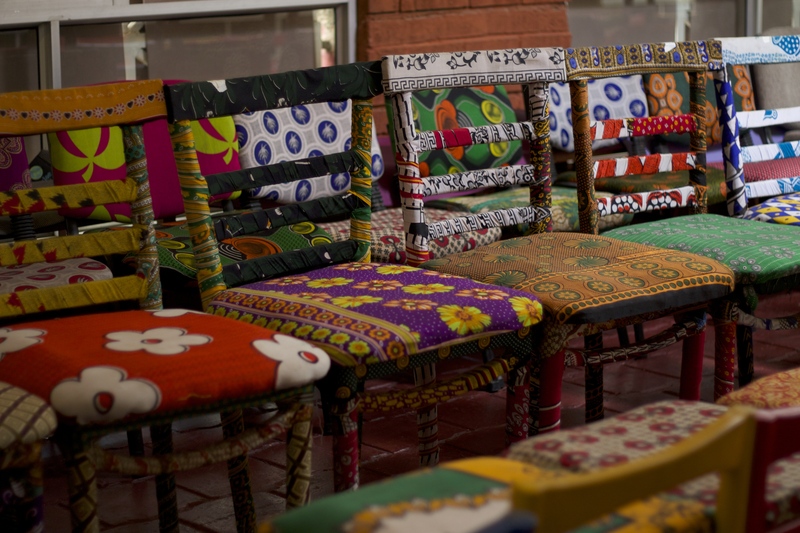 These teachers then go out into their own communities six to seven times a week to lead free outreach classes. 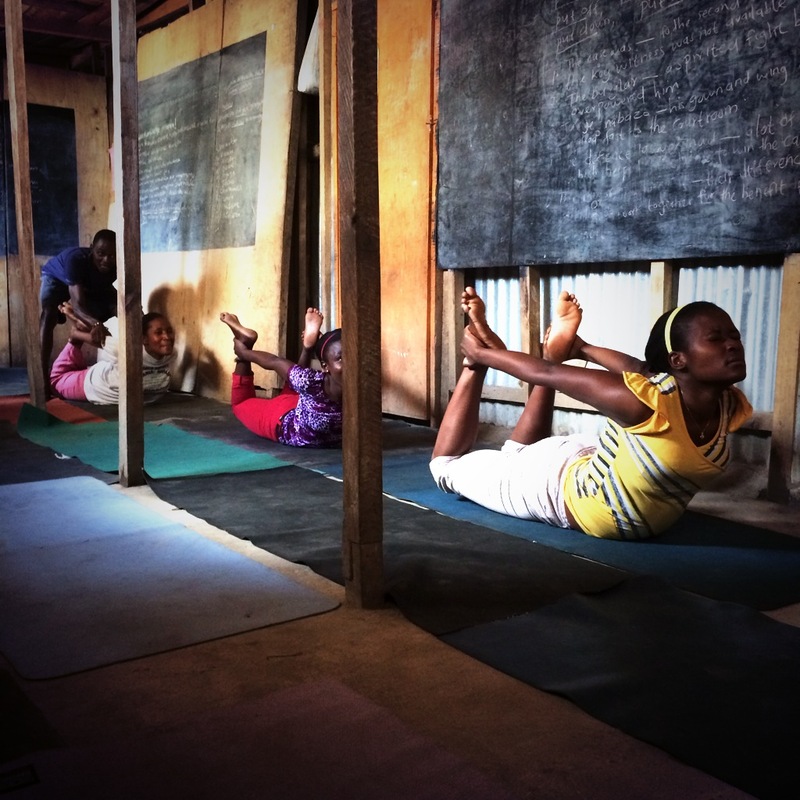 So, not only are the teachers being empowered, but the communities are also benefiting from the top of the line yoga instruction (trust me – some of the best teachers I have ever had) and mentoring, and the communities are then encouraged to possibly go through teacher training. Do the math, this model of empowerment is reaching thousands and thousands of people on a weekly basis and is only getting larger! 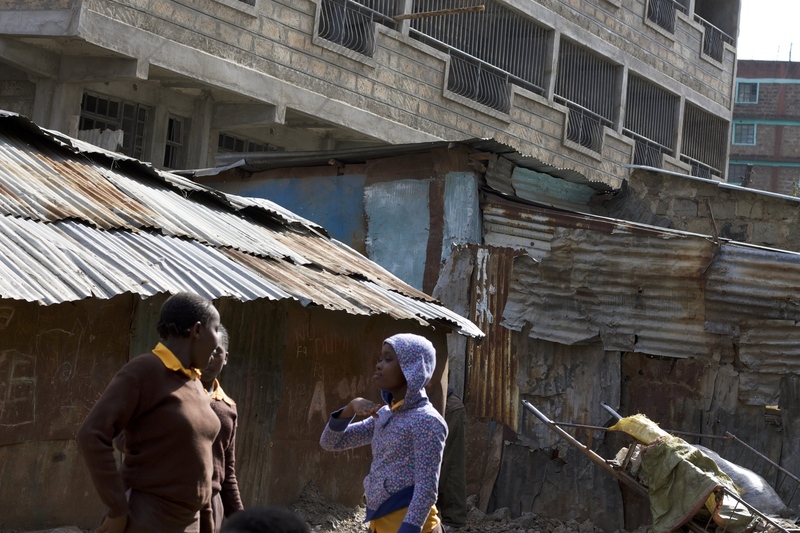 Some of the people in the slums have never been encouraged, never been told they are important and have never looked at physical activity or wellness in a positive light. Witnessing AYP’s magic was incredibly inspiring because they are one of the few NGO’s putting their works into fast action – they definitely walk the walk! 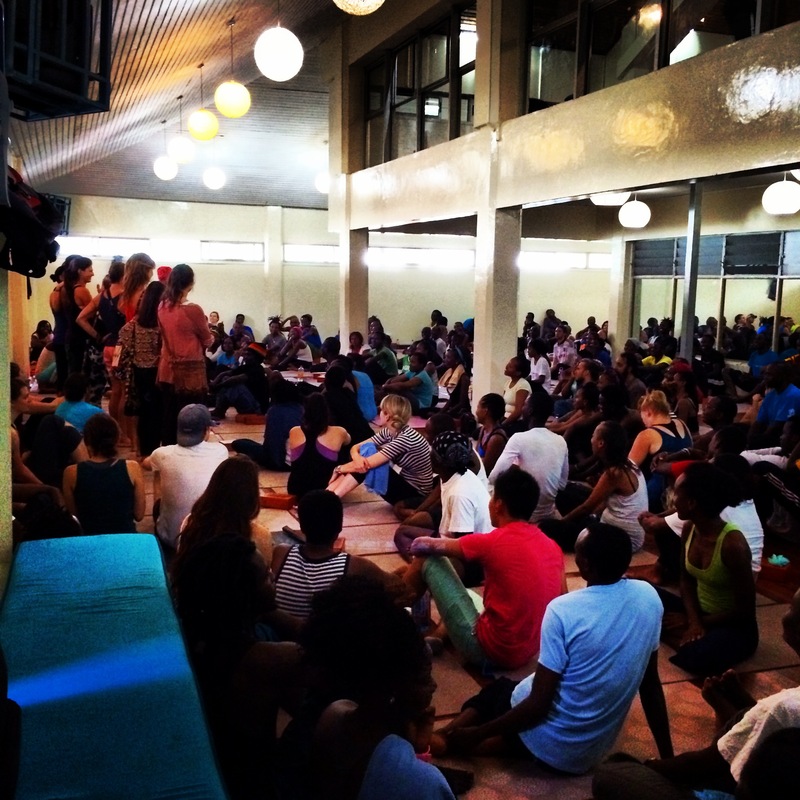 The most impactful experience I had while visiting AYP was when I went to two community outreach classes. My first outreach was with David. 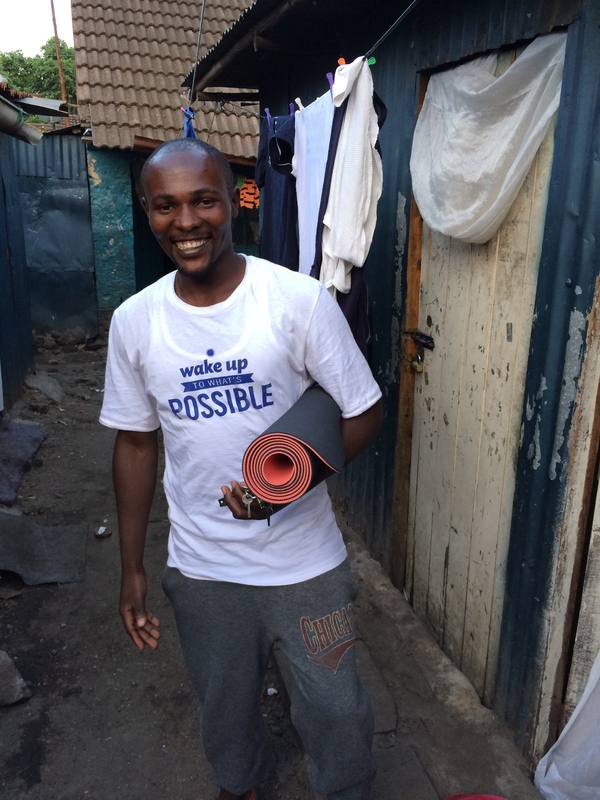 He is 24, lives in the slums of Nairobi, teaches yoga to his community six times a week and he practices yoga every day. I had the pleasure of meeting David’s family and sharing evening tea with them, I walked through his vibrant community and saw his amazing home, and I took the best yoga class of my life alongside fifteen other men in a rundown community center with no mats. 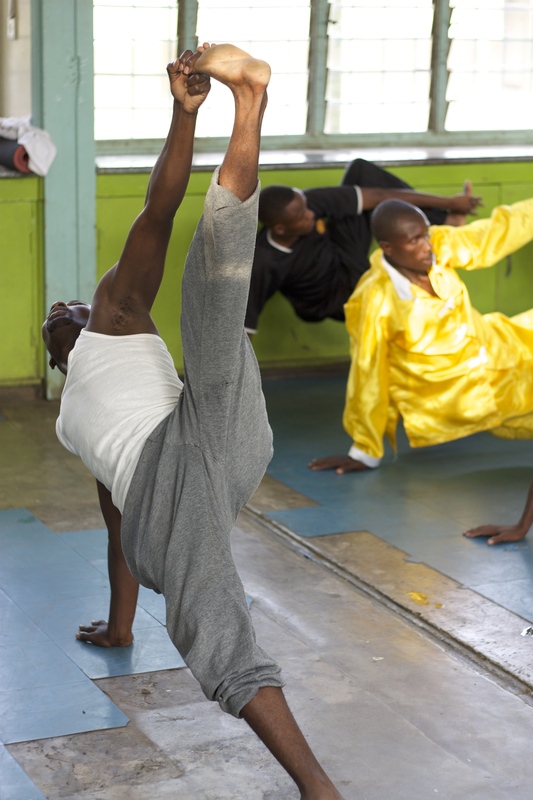 I met David at the AYP Shine Center in a yoga class and I had no clue that he lives in poverty. He told me as we were walking back from his outreach class that he thinks being poor teaches people how to be happy and that his steady income from teaching yoga is enough because it brings him so much happiness to teach. I think everyone could let that sink in for a moment. When I asked David about his future and goals, he said he wants to go to EMT school but he cannot afford it…it is $966 for the whole entire 9 month program. My wish is that the world will stop worrying about having every single luxury and worry more about empowering others and getting people like David into EMT school. If that dream falls through, David said he is more than confident that yoga will take him to places he could never imagine…and I do not doubt that because he is one of the best yogis I have ever met. My second outreach was with Issac and Joyce. Issac is 27 years old and taught English in a primary school prior to teaching yoga. He basically volunteered as a school teacher and never made a paycheck prior to AYP. Joyce has been with AYP for a few years, only after being convinced to try yoga by her friend. She said she hated the idea of stretching and blew it off for awhile but once she started, there was no stopping. I visited Issac’s apartment where he has all the basic necessities and enough room to practice yoga at home. He was very proud to show off his home. 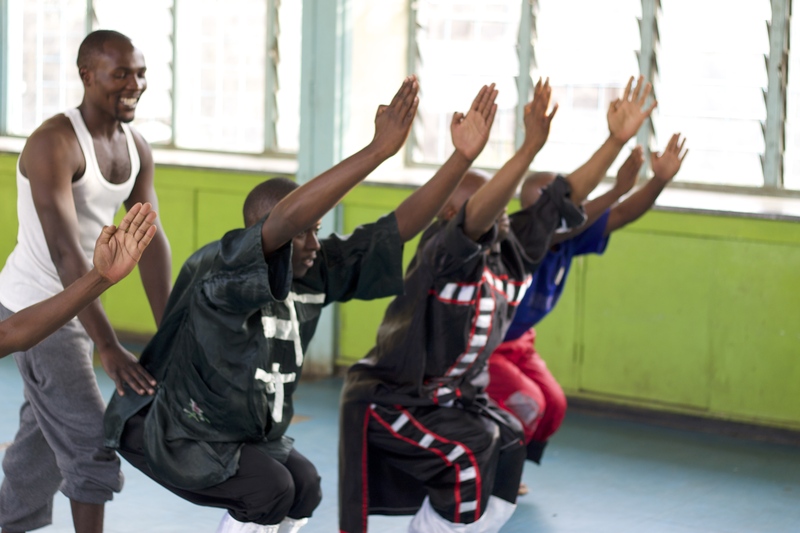 Issac’s class was in a run down school room that smelt like urine, yet he was very grateful to have a space to share his practice with the seven women that came to class, and he was thrilled Joyce and I were there. 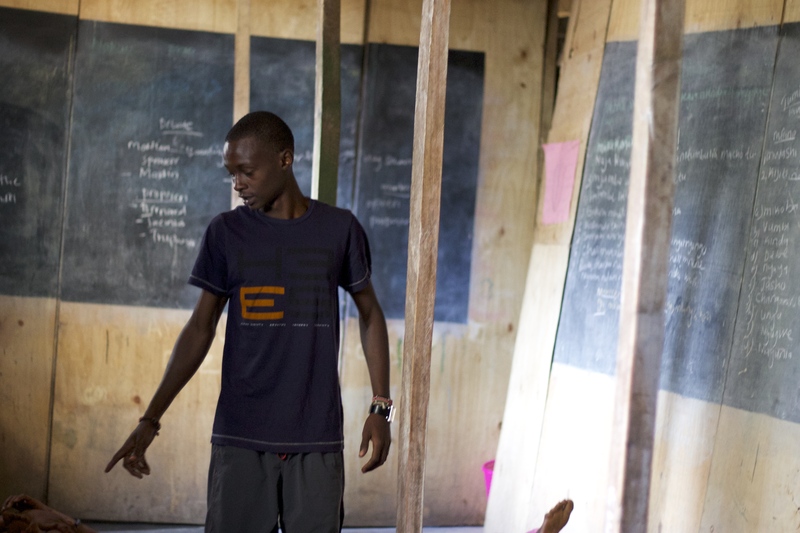 One of his students is on the verge of joining the teacher training and Issac could not be more proud of her. During class, children from the school kept peeking in the window and were shocked to see a mazungu attending class. I felt very happy knowing that those kids were being surrounded by the positive energies of yoga and had great role models like Issac to look up to. Issac said he enjoys teaching children the most because it shows them that anything is possible. Issac’s joy was contagious and I look forward to watching him grow as a teacher, a mentor and a yogi! 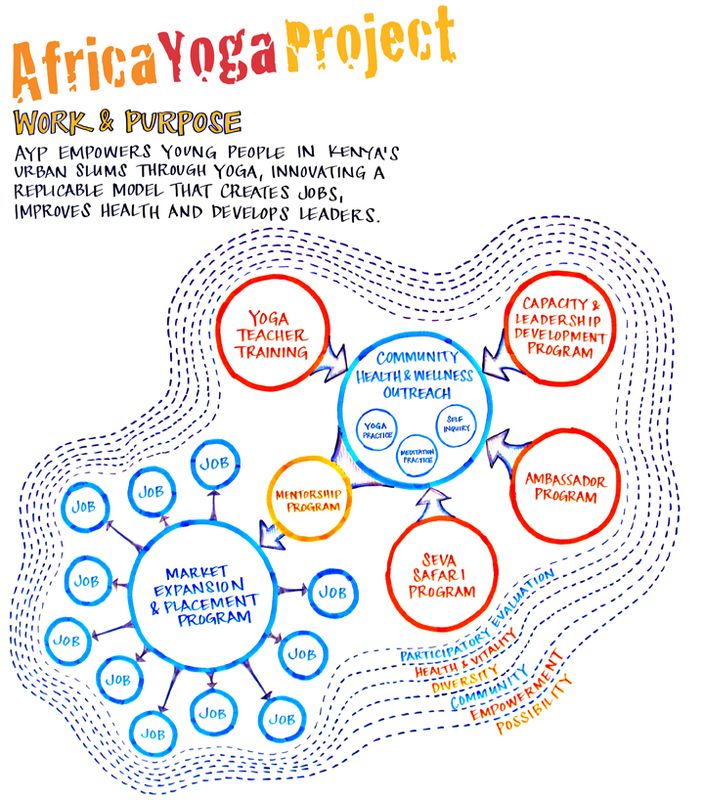 In closing, I want to say thank you Africa Yoga Project. Thank you to everyone who welcomed me with open arms. Thank you for the incredible yoga classes. Thank you for the inspiration. Thank you for your approach to empowerment. Thank you for connecting amazing like-minded people. Most of all, thank you for being you. The possibilities ahead are endless! Namaste.